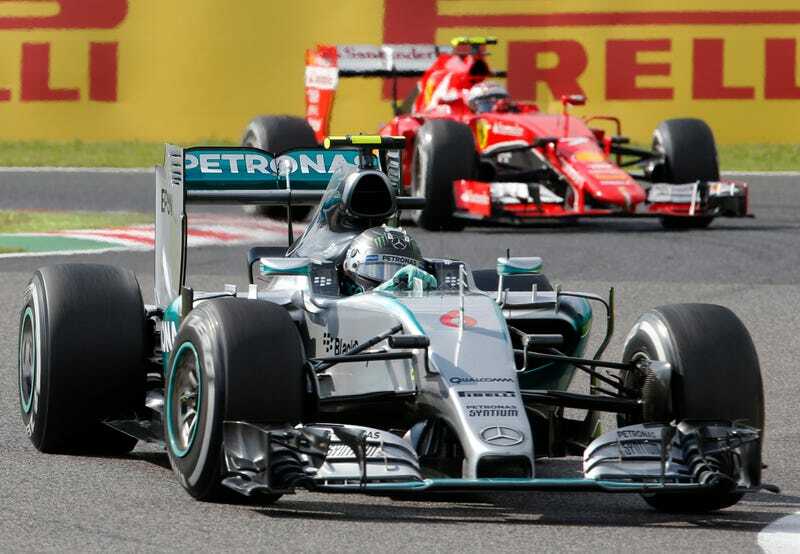 With claims of having multiple data files regarding its Formula One endeavors stolen, Mercedes-Benz filed a lawsuit against a team engineer understood to be on his way to join a competitor—the Ferrari F1 team. Filed on Oct. 19 and released last week, Bloomberg News reports the suit from Mercedes AMG High Performance Powertrains to be against engineer Benjamin Hoyle. His contract with the team ends this month, and Hoyle informed the team that he would resign at its conclusion. Mercedes soon discovered that Hoyle planned to head to the Ferrari team, taking him off of F1 duty and assigning him to work unrelated to the series for the remainder of his contract. But apparently, Hoyle still managed to get his hands on a number of files. According to Bloomberg, the lawsuit claims that Hoyle obtained data concerning mileage and damage in relation to the Mercedes engines, codes to decrypt raw race data files and a report from the Hungary Grand Prix. As you can imagine, Mercedes’ filing includes a note that Hoyle’s “actions were calculated to destroy or seriously damage the relationship of trust” he has with the manufacturer. Mercedes is seeking the return of all documents and information, payment of its legal fees, and wants to block Hoyle from joining Ferrari or any other F-1 competitor until after the 2016 season. That’s right, Hoyle—Mercedes wants you to sit out and think about your (alleged) actions. But Ferrari says there’s not currently a job offer on the table, so perhaps Hoyle will will need the extra year to find a new team anyway.